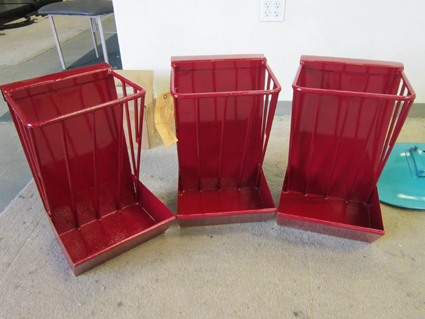 USA Powder Coating - What is Powder Coating? 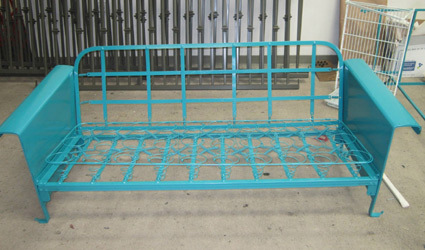 Click here for a list of more items that can be powder coated. 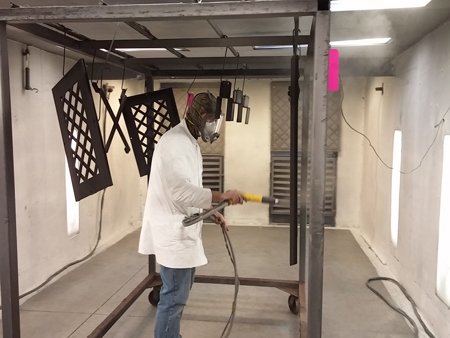 Powder coating is a dry finishing process that has become extremely popular since its introduction in North America over 40 years ago. Representing over 15% of the total industrial finishing market, powder is used on a wide array of products. 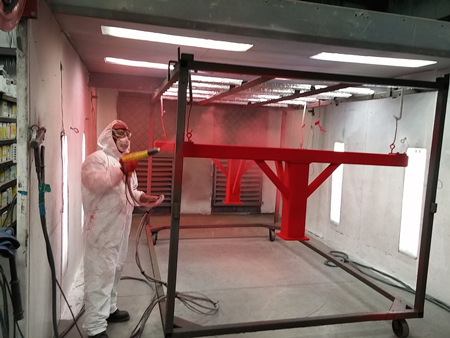 More and more companies specify powder coatings for a high-quality, durable finish, allowing for maximized production, improved efficiencies, and simplified environmental compliance. Used as functional (protective) and decorative finishes, powder coatings are available in an almost limitless range of colors and textures (click here to see color charts), and technological advancements have resulted in excellent performance properties. Keep in mind “Metal Only” ALL NON-METAL ITEMS MUST BE REMOVED TO POWDER COAT. NO~ nylon, plastic, gaskets or cast aluminum parts. Customers will be charged an addition fee for any NON-Metal parts that have been removed to powder coat. 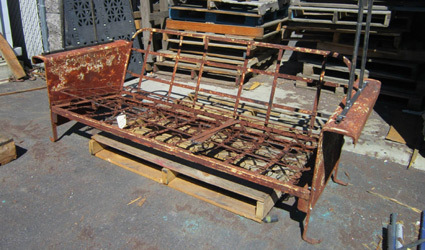 this outdoor sofa will bring you many more years of enjoyment. 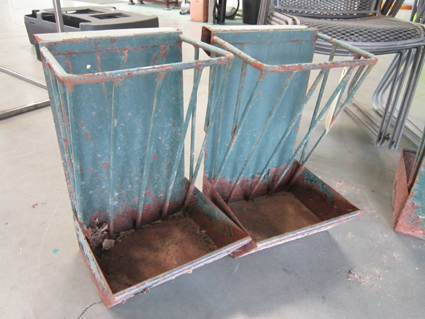 moisture and corrosion, and are ready for many more years of use.